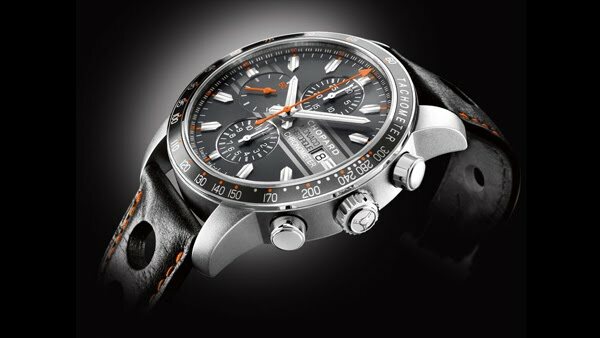 Matt grey, vivid colours, racing stripes: the new Grand Prix de Monaco Historique 2012 watch is a tribute to 1970s racing cars. Historical “speed machines” face off very two years in the Grand Prix de Monaco Historique, for which Chopard serves as official timekeeper. A passion for fine mechanics, extreme precision and rigorous standards have united the House of Chopard and the Grand Prix de Monaco Historique since 2002. 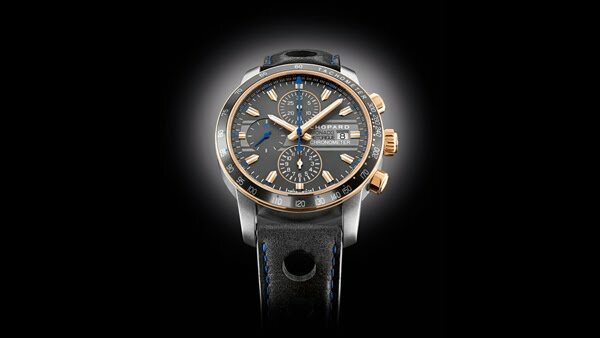 This partnership has given rise to a prestigious eponymous collection dedicated to high-speed enthusiasts. 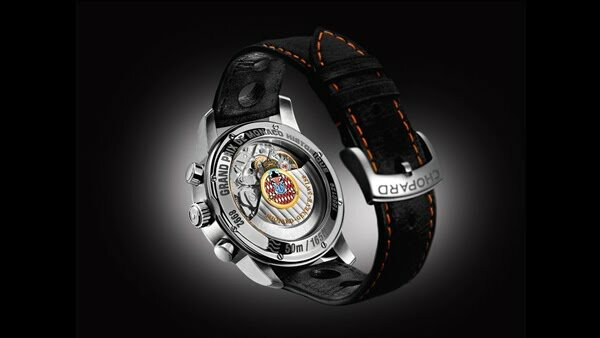 The new Chopard Grand Prix de Monaco Historique 2012 pays tribute to 1970s models. Sophisticated, ultra-light, available in titanium, titanium and rose gold, and rose gold versions, this chronograph features the aesthetic appeal and distinctive colours of historical racing cars. The matt titanium case as well as the anthracite dial of this model are directly inspired by the historical bodywork features. This understated backdrop is lit up by bright colour accents – orange or blue according to the version – enlivening the hour-markers, the seconds hands and the stitching on the grey Barenia calfskin strap. These colours echo the graphic design characteristic of the 1970s, as do the tone-on-tone racing stripes on the dial. Equipped with a mechanical self-winding movement chronometer-certified by the COSC, the Grand Prix de Monaco Historique 2012 model displays the hours, minutes, small seconds and the date through an aperture, naturally complemented by chronograph functions and a tachometric scale. The 42.4 mm-diameter case provides glimpses of the mechanical movement through an exhibition back engraved with the inscription “Grand Prix de Monaco Historique”, and featuring a sapphire crystal bearing the insignia of the Automobile Club de Monaco. Water-resistant to 50 metres and also issued in a special titanium and rose gold 500-piece limited edition, this watch is equipped with a strap featuring a pin buckle made of titanium – an additional nod to the quest for lightness typical of motor sports.